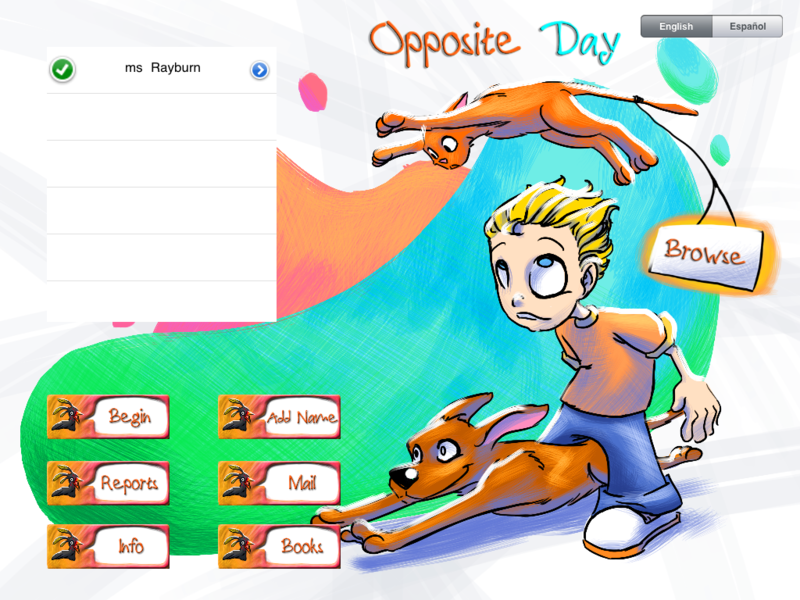 Opposite Day App Review & GIVEAWAY! It’s a giveaway day!!!! Hooray!! Remember a few days ago when I spoke to you about the importance of picking effective and efficient apps in therapy? Well I’m going to share one with you today! My friends at Pocket SLP are making some great apps for SLP’s. Today they gave me a code for Opposite Day to review for you. Bonus? Two copies to give away! See the bottom of the post for how to enter!! My students and I played it this week and it was a hit! Of course we had to play under my name so that I could take some screen shots for you! You can add multiple kids to keep data on really easily. You can choose which types of vocabulary you want to target during the session (in Spanish too!). This is practice mode! You tap one card and it flips. Then you can have the student name the opposite and before they check the other. In quiz mode you, still have two cards, but you can collect data. See the red/green at the top of the page? Aren’t the graphics fun? I love them. The highlights? Entertaining for the kids and super easy data collection! A few more ways you can use this app! I had my students turn them into sentences (Yesterday I ran, Today I run, Tomorrow I will run) to work on verbs. We also made sentences to work on pronouns and word order. Some friends practiced descriptive sentences to work on carry over of their articulation sounds too! No onto what you have been waiting for!! The giveaway. Here is how to enter: You need to complete BOTH of these items and then only leave ONE COMMENT. Multiple comments will be deleted. I have 2 codes to giveaway! I will generate the winners with random.org in one week on Tuesday 2/21/12. 1. Like Speech Room News on Facebook (find it on the bar on the right side). 2. Like PocketSLP on Facebook Then leave a comment below telling us one objective/goal you would like to see materials created for! Don’t forget to add your name and email too! « When should I use my Ipad in therapy? Easy Group Apps. I’d like an app for synonyms. I would love an app for multiple meaning words! I’d love an app for higher level things like synonyms/antonyms and making inferences. I would love an app for working on categories! Multiple meaning words and analogies: id and explain/name. I’d love to see materials for social skills! I would like to see to see apps for inferencing, analogies, and figurative language. OMG my kiddos need this app! Love your ideas and materials Jenna! Keep up the great work. I second the higher level skills such as predicting, inferencing, analogies, and figurative language. I would also LOVE to see one for synonyms, antonyms and homonyms. I’d like an app for functions, worked on in a variety of ways. Like, “Show me something you (eat)” and “Show me what you do with a toothbrush” and then “Tell me what you do with a coat.” Data collection within an app is always a plus! 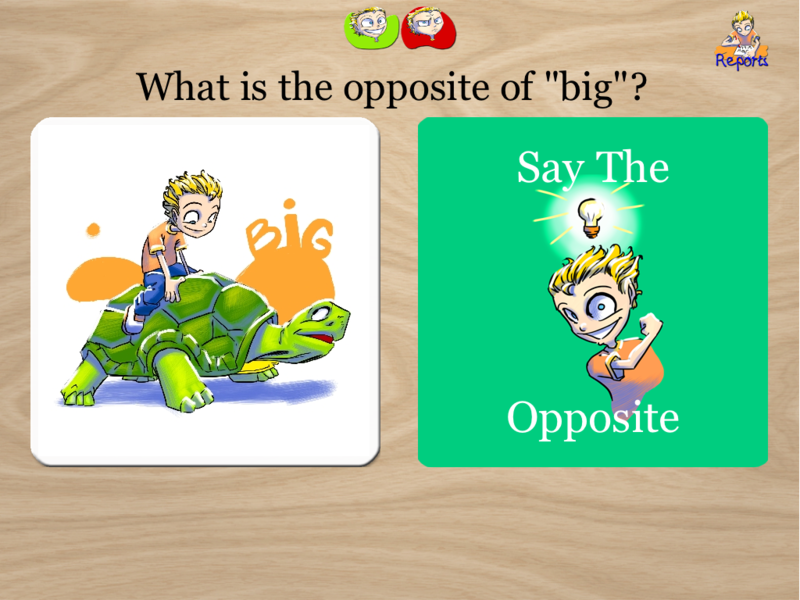 I agree with the synonym/antonym app idea. I would also like an app that targets prefixes/suffixes/root words. I’d love materials for vocabulary and compare/contrast. Love your blog by the way! I would love a short story app with wh- questions to answer that contains stories for a variety of ages/grades. I would love an app for inference. I’d love an app for adjectival clauses and adverbial and all the other clauses!! I would like materials for inferences (if possible, upper elementary targeted). Thanks for all you do! Love your site! I would love to win. Thanks for offering codes. I would also like to see more apps for elementary kids to sequence stories and have WH questions following 2-5 sentence stories. I would love something to help with academic vocabulary. I agree with all of the above suggestions, but a sequencing app and a wh-questions/story comprehenion app are my top wishes right now! I would love to see more apps for following multiple step directions and problem solving/inferences for intermediate or middle school grades! i would like more articulation or sequencing type apps! Lots of good suggestions! I second (or third) the recs for a wh ? app and for a sequencing app. I am trying to incorporate technology into my speech sessions. I have lots of language kids who would benefit from working on these goals – opposites, etc. Perfect for my therapy! I would LOVE some of the Common Core curriculum vocab by grade level. I have a lot of kids who are working on vocab, and would love to make it line up more with the curriculum as we transition to the Core. I would love to see an app addressing pronouns! Love your blog! I would love to have an app that can handle all the articulation sounds, with multiple players, with each person working on their own sounds and gathering independent data. And a good social skills ap that has video clips of situations that can be used for problem solving, maybe with alternate video endings based upon what choices the child made. And not a therapy ap, but it would be nice if ASHA could compile their journal editions into ebooks or a merged pdf to allow for easier download and reading on an ipad. I would love to see a multiple meanings, and synonym/antonyms app! Looks like a great app! My students are becoming so tech savvy! Thanks for all the information in your blog! I would love to see an app addressing inference and cause/effect. Love my Pocket SLP app and the new updates!! There are a lot of apps I would love to see…. auditory training, listening for key information, inference, figurative language, interpreting social cues and body language, sequencing story events (not just common scenes but based on actual stories), story comprhension, synonyms, antonyms with a grade level basis, sentence construction, verb tenses, following multistep directions, following directions with multiple critical elements. I’d like to see an app for sentence building and generating, social skills/problem solving and pronouns. I would like an app for similarities and differences. I would love to have an app for story retells or sentence structure. After having used several very good apps for articulation therapy including Pocket SLP, I would love to have an app suited to the unique needs of children with apraxia. I would love to see a pronouns specific app that targets posessive, reflexive and gender pronouns. I’m sure something like it does exist but I’m yet to find it! I will keep my eyes peeled 😉 Keep up the great work Jenna. I would love to see an app that works on sentence expansion (expressive language). There are so many apps out there that work on receptive language things and I’d love to find more to help my students express themselves. I’ve liked both Speech Room News and PocketSLP on Facebook! I would like preschool aged apps to work on wh questions and sequencing. auditory comprehension, wh-questions following a short story, expanding utterance length, adjectives, interpreting nonverbal cues, sequencing. I’d like an app to address comprehension and/or production of complex sentences. I would love to see some activities for voice. I know there’s a computer program out there somewhere that is a little more entertaining, but I wonder if there are any apps?? THANKS!! 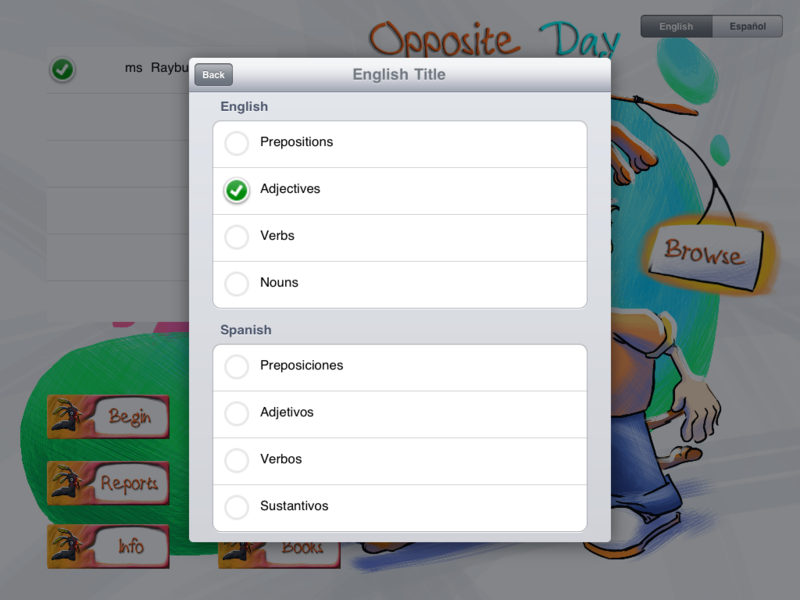 I would love a grammar app for either editing/revising or pronouns OR a academic vocabulary app for prefixes/suffixes. I would love to use this app! I work with preschoolers to 8th graders with all different functioning levels. We would be able to do so much with it! I’d love an app for sequencing! 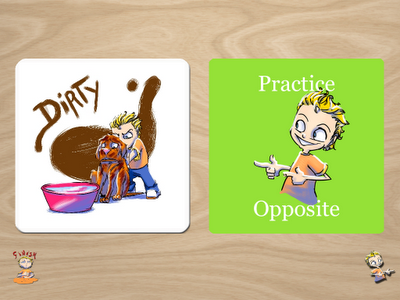 I really want to see an app for practicing vowels with the little ones! I love your blog as well, its been very helpful! I would love materials for teaching concepts: quantitative concepts, verbal descriptors, spatial concepts, descriptive concepts and quantity concepts. Thank you for your blog, your creativity amazes me! 🙂 I would love to see an app for story structure and retells. Hi Jenna, LOVING your blog and using Pinterest. I’ve been creating materials like crazy (which I haven’t done in a long time, usually just buy them but yours are so fun to make!) Thanks for sharing. I’d like to see an app. related to story elements–where students can choose from characters, setting, problem, solution, etc. and really focus on these areas before creating their stories. I am addicted to your blog! Thanks for all you share with us. I would love to see more apps for story sequencing and WH questions. Id love to see your ideas for activities with life skills students who are nonverbal. I read your blog daily! Thank you for sharing your passion for our profession! Would love to see an app for building fluency and comprehension. Also something with the focus on the wh words! I would love more apps for re-telling stories and asking questions. OH story telling is a great too! I like both of you on Facebook! Katie@playingwithwords365.com Awesome giveaway! I would love to see apps for inferencing and problem solving! I would love to have this app to target opposites and vocabulary with my language kids. It would be great for carryover with my artic. kiddos too! As a mother of speech delayed kindergartner I’m thrilled to find your site. I liked on FB too. The opposite app is just what we need right now. Do you have rhyming apps? Id like an app for sequencing daily activities, inferencing, and reading comprehension for older students. 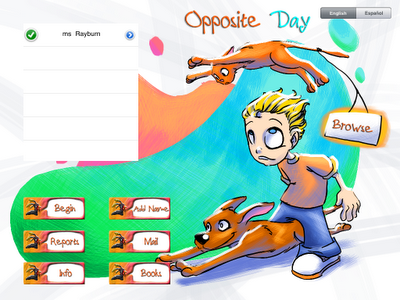 Thanks for the opportunity to win the opposite day app! I don’t like your stuff, Jenna…I love it! It’s so motivating to see all of your creations and to be able to use them is wonderful! The trend toward using narratives is something that I think hasn’t been done too much yet, but I’m not sure I know enough to do anything with it. I also think there’s not a lot of available material on following multistep directions. Thanks for all of your useful,fun stuff! An app on inferencing, categories, and sequencing would be absolutely genius! Ps. LOVE your blog and all of your ideas! I also am interested in narratives, inferencing and sequencing. Thanks for all the great ideas so far. I would love apps for multiple meaning words and reading comprehension. I also love to compare and contrast vocabulary in language therapy and would love some more apps I can use to develop that skill! Thank you! I would like to see a fluency app for elementary aged students. I would like an APP showing administrators who know nothing about speech therapy what to look for during their evaluations. Thank you for sharing your always wonderful ideas! I would be interested in seeing some material for understanding and using jokes appropriately. I would like social apps and some apps utilizing the front facing camera on the iPad2. Thanks for the great website. I already like PocketSlp in Facebook, that is how I found out about you! That looks so fun! I would like to see an app about social skills. I’ve recently had a lot of kids on my caseload that are very…whiny! and I don’t think they understand how we portray their whiny-ness. Love your blog! Thanks so much for all the ideas. I would love to see activities that I could use for my social skills group. Thank you! This does look fun! I am always looking for materials to target irregular plurals and pronouns. Thanks for the fabulous ideas! I love your blog! Always such great ideas! I would like to see more apps that focus on narratives/story sequencing. This app looks great and you can do so much with it! I would like more articulation apps. 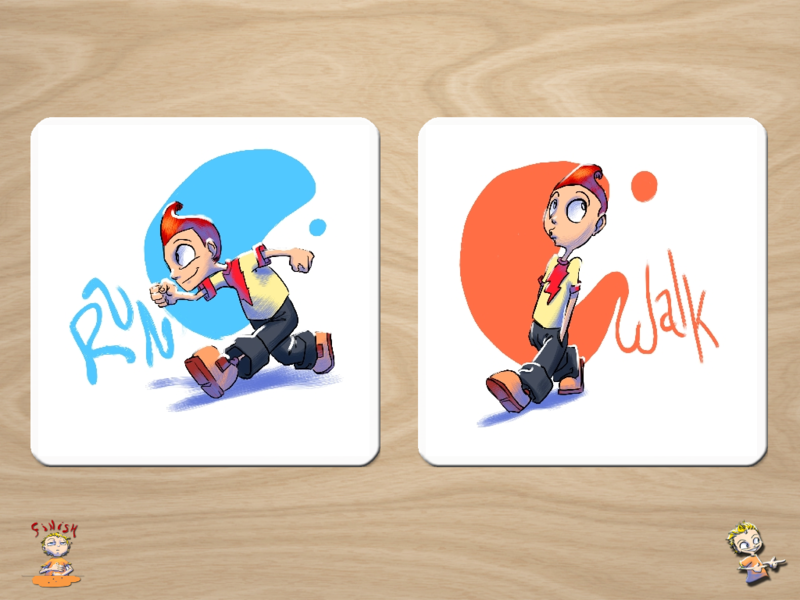 Also, some basic concept apps that are fun for preschoolers would be helpful. Thanks for the ideas as always!